Always deal with a Government-licensed agent. If you are in doubt, every licensed agent must display their 'AMI' licence in their office and on all advertising. For example, our licence number is AMI 6232. Licensed agents have professional insurance together with other guarantees and are accountable for their actions. So make sure you have the right start: by working with true professionals you'll soon see how simple purchasing a property in Portugal can be. Your offer should be discussed with us first - we usually know the client / owner very well and can help to negotiate a deal which is agreeable to both vendor and purchaser. Once decided on your chosen property, we recommend that you seek the services of a registered and qualified surveyor. This will reassure you of your choice, raise any issues that need to be addressed immediately plus (if necessary) recommend additional guarantees that should be inserted into contracts. One thing's for sure: you'll know exactly what you're buying, as a surveyor won't be biased by enthusiasm or sentiment for the property, as you may be. A survey offers peace of mind. Buying a new home can be a daunting prospect, and even more so in a foreign country where the language and purchase laws are very different. However, with our help plus a reputable legal advisor there's no need for concern when buying a property in Portugal. Select a lawyer/solicitor who regularly carries out property conveyance and who is able to respond in a set timescale to your requests. We have reliable English-speaking lawyers that we work with on a regular basis and who provide a solid professional service at reasonable cost. Another major benefit is that a lawyer can be given power of attorney, thereby saving you considerable time and expense travelling to Portugal to sign documents in person. The property is duly registered in the Vendor's name. There are no changes, mortgages or encumbrances registered on the property. There are no fiscal debts, like Predial tax / Contribuição Autárquica. The property was built in accordance with Portuguese regulations and that planning permission was granted by means of a document known as a habitation licence. Most lawyers will help with the connection / re-connection of services such as gas, electric etc. This should be agreed during initial meetings. The promissory contract is a preliminary contract drawn-up to cover the purchase of any property. It is 'promissory' because both parties effectively promise to enter into a final contract to buy / sell the property - known as the escritura (final deed) - which is done at a later stage, drawn up and signed before a public notary. This is the vital binding document signed by both parties. It identifies the parties, regulates the terms & conditions agreed (such as 'subject to mortgage'), the price, the completion date, and any other relevant conditions. A deposit is also required upon signing the promissory contract. The amount may vary, but be prepared to pay a minimum of 10% of the agreed purchase price. It is advisable that this amount should never exceed 20-30%. This deposit is released / paid upon signing the promissory contract. In individual circumstances - and with most new-build properties - a separate payment structure will be advised and agreed. (b) force him to sell it to you by seeking an order of 'specific performance' of the contract. This is obtained by taking out legal proceedings against the vendor in court and involves a considerable amount of time, money and patience. If, on the other hand, it is you who no longer wishes to proceed with the purchase, then your deposit is lost to the vendor, who can also try and force you to buy through the same system of 'specific performance'. A promissory contract is not obligatory but, once signed, it becomes fully binding and must be fulfilled. After the promissory contract, we then enter the notarial deed of purchase and sale. Completion is known in Portugal as the 'Escritura Pública de Compra e Venda', the process through which ownership of the property is transferred to you. All the property documents must be submitted to the notary, together with proof of payment of tax on the transfer of the property known as 'IMT'. The escritura is signed at a notary's office on the same date it was agreed to finalize the purchase, and the balance of the purchase price is paid to the vendor at this time. Even though you have become the owner of the property by signing the escritura, it is only by final registration of the property in your name which grants you full security of ownership, and protects you against the actions of any third parties. The connection of water, electricity and telephone follows the acquisition of your house. You will be required to fill out new application contracts for the supply of these services to your property. You should ensure that there are no debts left by the previous owner before the signing of the escritura, or you will be liable for any outstanding payments. Fiscal Number - Número de Contribuinte. A fiscal number is required for many transactions, such as opening a Portuguese bank account, purchasing a property etc. Non-resident individuals must empower a Portuguese tax resident person or company to carry out their fiscal representation before purchasing a property. Fiscal representation basically means that they will act in respect of your tax affairs with Portuguese revenue. Land Registry - Registro Perdial. A search will be made to check the land registry title at the local municipality. Where appropriate, checks on licences and permissions will be made. Tax department document - Repartição de Finanças. A search will be made to ensure tax registration on the property; also that there are no charges which may adversely affect the property. Habitation Licence - Licença da Habitação/Utilização. Properties for habitation must have a habitation licence, confirming the property has been constructed in accordance with the plans submitted to the Camara (local council). Properties built before 1951 are exempt from this requirement. Properties for other uses (e.g. storage) will have a utilisation licence, not a habitation licence. House Passport - Ficha Técnica. This is a relatively recent requirement, which came into effect on 16th August 2004. All houses completed after 30th March 2004 must have a 'ficha técnica' which gives technical details of the construction type, all materials etc. The builder of the property provides this document. Prior to completion of the transaction the purchaser is required to pay a property transfer tax called IMT to the Finanças (similar to paying Stamp Duty in the UK). On properties for habitation the tax rate varies according to the acquisition price of the property (a sliding scale based on the value of the property ) and can go up to a max of 6%. On land on which one cannot build the applicable rate is 5%. For building land or other types of properties the applicable rate is 6.5% (08.2016). The minimum amount of IMT to be paid is based on the Finanças valuation of the property (property ratable value), even if the final sale price was actually lower. In addition, a so-called 'Stamp Duty' of approximately 0.8% must also be paid. Notary fees and registration fees should not exceed €1000.00 (one thousand euros). 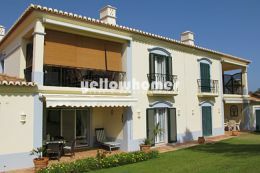 The information above is to give buyers an indication of the costs involved in purchasing property in Portugal. This information can change without prior warning. Yellow Homes therefore strongly urges all buyers to appoint a lawyer to act on their behalf. 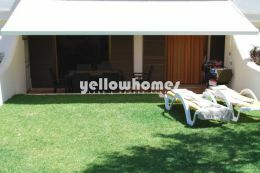 At Yellow Homes we are selling properties day in / day out. If you need more information, or you have a query regarding anything to do with purchasing property in Portugal, please contact us and we'll be happy to assist. We hope that the above summary will help you through the procedures of buying your home in Portugal. All information is provided as guidelines only and is no substitute for proper legal advice. Yellow Homes accept no liability for any mistakes or omissions herein and subsequent issues.